More than just a stroller netting! The Tots in Mind Baby?s Bug Net (the two piece insect proofing system) was designed to help eliminate insects, even the small no-see-ums, from baby?s changing environment. This versatile two piece insect proofing system fits most all standard size cribs, rectangular playards, port-a-cribs, bassinets, as well as canopied and tandem style strollers. 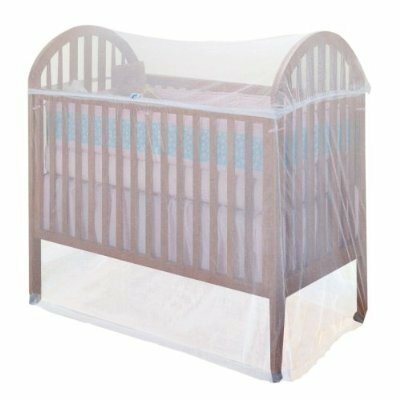 Designed with your convenience in mind, the Baby?s Bug Net features a dual net system allowing easy access to your child.